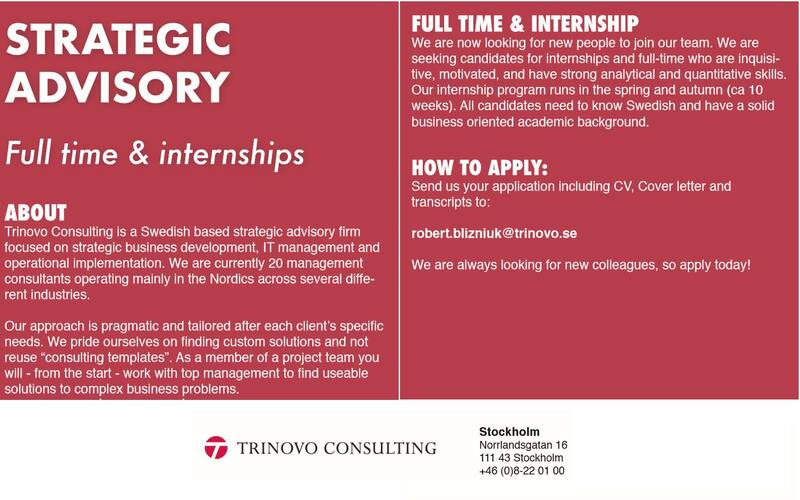 Trinovo Consulting is a Nordic based management consulting company focused on giving our clients excellent advice & guidance. In order to provide that we crunch data, hold workshops, perform interviews and make informative (and sometimes) quite long powerpoints. Our ambition is always to be the key strategic councillor to our clients.